Located just two miles from Gallatin Field Airport, the LaQuinta Inn and Suites Belgrade is your gateway to the Montana outdoors and Yellowstone National Park. Ski at Bridger Bowl and Big Sky Resort or snowmobile at West Yellowstone. Hunt for game and antiques. Enjoy fly-fishing on the Madison, Gallatin, and Yellowstone Rivers. Statewide attractions include Yellowstone National Park, Lewis and Clark Caverns, Madison Buffalo Jump State Park, and the headwaters of the Missouri River. Join us while attending boys and girls basketball tournaments at the Belgrade Events Center. The LaQuinta Inn and Suites Belgrade sports a rustic lodge design both inside and out, and has many modern amenities such as refrigerators, microwaves, free high speed access, hairdryers and in-room coffee makers in every room. 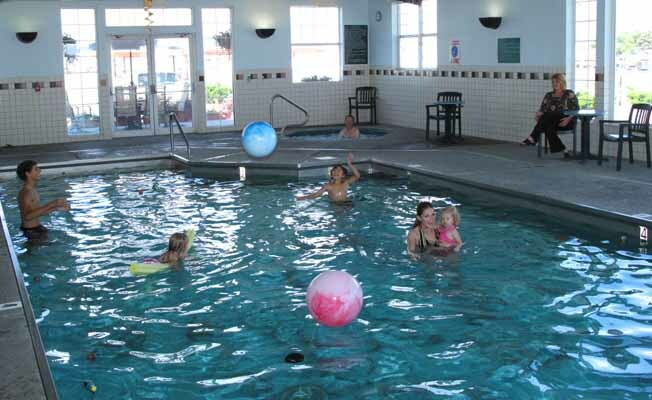 Enjoy a 24-hour swimming pool and spa, a relaxing sauna, and our well-equipped fitness center. Our courteous staff also arranges a complimentary deluxe continental breakfast featuring hot self-bake waffles every morning in the lobby for your enjoyment.